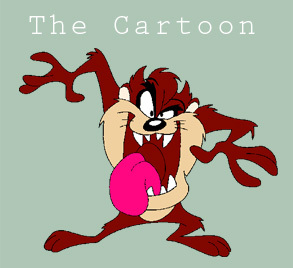 Recently I read a story about the Tasmanian Devils and their fight against cancer. Although many people dealing with cancer and the side effects feel like Tasmanian Devils, these are the real animals, the marsupial carnivores of Tasmania, not the cartoon characters we all remember. The real Devils have been plagued with a form of cancer that is contagious, deforming and eventually fatal. A contagious cancer is something a bit different in the world of cancer. These Devils, being devilish in their nature, bite each other’s faces during ‘normal’ or ‘violent’ acts. The bites get infected and lead to cancerous tumors that eventually restrict the Devils from eating. A Devil that has the infection spreads it to other Devils when they bite each other. Here is the good news for the Devils: Australian wildlife researchers have found a colony of Tasmanian Devils that appear to have a genetic immunity to the cancer. It looks like these healthy Devils body chemistry is able to mount an immune response against the cancer cells. Their bodies recognize the cancer cells as foreign and fight it off successfully. 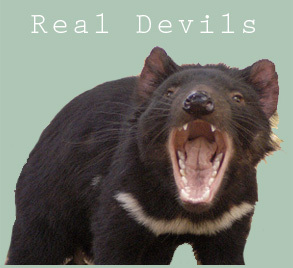 Hooray for the Tasmania Devil because the cancer has affected 70% of the Devils already living in Tasmania. Hooray for the world of cancer because these genetically immune Devils offer hope. The idea that a body, Devil or not, can develop immunity opens up hope for other cancers too. Remember the days when you could dash off to the grocery store with-out make-up? You could throw a coat over your pajamas, even your menopause pajamas and run an errand? What you say? You still can, you are not a celebrity! What if your dashing results in a camera traffic ticket? There in your mailbox arrives is a picture of yourself in all your unmade-up glory driving your very own car violating some traffic law. 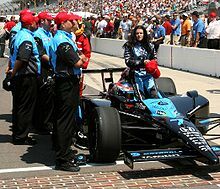 Gone are the days when you could try to explain away to that kind police officer your reason for running a red light, or going 10 miles over the speed limit. In a flash you are caught on camera breaking the law. Camera traffic tickets originally showed everyone in the car when the picture was taken. Now the picture ticket that arrives at your home just shows the driver. Evidently there was a law suit in some state that lead to divorce because the driver and passenger were not supposed to be together. Cities that employ camera tickets just want the fines paid, no law suits and no excuses. 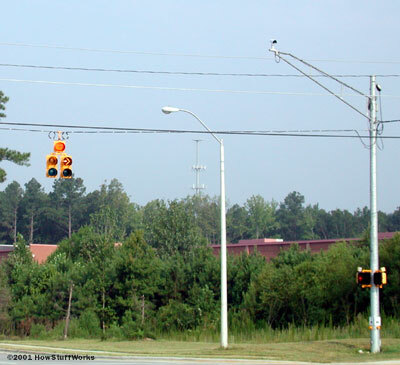 Traffic camera ticket cities employ people to crop the photos and then make a copy and send it in the mail. In this day of digital technology, I wonder about the pictures and the cropped out pictures. Do the people in the office look at them and say, “Should have put on some make-up”; Are those menopause pajamas under her coat”? On the cropped off photos do they laugh and point and say “Look at that sourpuss”? Since hardly anyone has film developed any longer is it a water cooler joke to look at, ridicule or make fun of the traffic violators? The bottom line is Allan Funk was right before his time when he said “Smile you are on Candid Camera” except now it is “Smile you are on traffic camera”! Miss Fanny from Texas has won the funny menopausal night sweat and hot flash contest from http://www.haralee.com/ with this entry from her blog, Fanning Flashes, http://www.fanning/ flashes. I think her story and picture is self explanatory. We have all been there and Miss Fanny is brave enough to share. Fuzzy brain is a weird condition of menopause…a well-documented syndrome in which the afflicted struggles to have a complete thought as a result of the cataclysmic evacuation of estrogen from the system. Who knew estrogen really made one think clearer? By the way, this is not a scientific theory, more of a menopausal hypothesis. Earlier this morning, I was checking out some recent posts from my favorite blogs and came across one about buying things in multiple which made me think of a recent fuzzy brain faux pas story which related to multiples purchases. For those of you who aren’t familiar with multiples purchasing, it basically means when you find something that looks good on you, taste good to you, or fits you, you buy it it in every color or flavor (for me that would be shoes and girl scout cookies). So where does the fuzzy brain syndrome fit in with multiples purchasing you ask? I took this glamorous ped-shot with my iphone midday at a board meeting after looking down in horror, apparently for the first time that day, to discover I had worn two different colored shoes. After my discovery I didn’t hear a thing in the meeting. I was immersed in a detective-like retracing of my mismatched steps leading up to the sighting. My fuzzy brain was racing…Who had I talked to? Did anyone try to give me a clue? Would there be a new fashion rage at the hospital system of trendy wannabes working the two-different-colored-shoes look? I wish I could tell you that this was the first time I had done anything like this but that would be a lie. No, fuzzy brain syndrome and I go way back…there was the time I went on three hospital site visits with an old band-aid stuck to the back of my head or the conference I went to with my shoes on the wrong foot and limped around a good part of the day before I realized it. 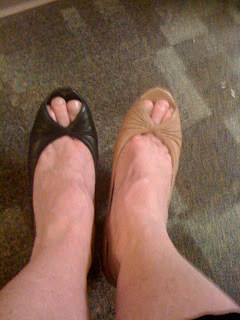 Yes, I am no stranger to menopausal fuzzy brain ( as many of my loving facebook friends reminded me when I posted the foot shot on my wall), the only difference was that when I launched the two-different-colored-shoes look, I had a temporary lapse in fuzzy brain and the forethought to know that this had to be captured by photo. Many women think that they are very ill or at least sick when they have symptoms that those of us in the know, know are menopausal symptoms. Night sweats, hot flashes, headaches, forgetfulness, irritability, mood swings, dry skin, insomnia can all be symptoms of various diseases but are also side effects of menopause. Women in their early 40’s don’t think they are old enough for menopause. Women in their mid forties don’t think they are old enough either. The truth; THEY ARE old enough for menopause. Menopause does not have an age requirement like getting your driver’s license or eligible for social security. It happens some time in between and can vary among women greatly. Of course you want to check out with your doctor, but don’t let your doctor say you are too young. Be sure to be your own advocate and ask your doctor for a FSH blood test. That test may be an indicator that you are entering menopause. Menopause is not an illness, is not life threatening and is a whole lot better than having a life threatening illness. I am not minimizing menopause symptoms in any way, they are miserable, annoying and even debilitating, but they are not forever! Women who have had a child or who are breast feeding sometimes get hormonal symptoms similar to menopause. It is a glimpse of the future as your hormone levels fluctuate. Recently I had conversations with 2 women who were relieved to find out they are only menopausal. They are both in their early 40’s, healthy, active women who were just not feeling like themselves and experiencing new odd symptoms. The internet had both the women convinced they were seriously ill with who knows what, so you can imagine their relief. Menopause happens, sometimes sooner than later, welcome to the club.